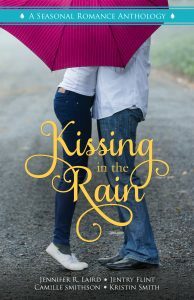 Literary Crush Publishing brings you a brand new sweet romance anthology with four stories written around the theme: Kissing in the Rain. A Blueprint for Love: Jenna Harris is perfectly content being “always the bridesmaid and never the bride,” but when her best friend’s destination wedding launches her into the arms—and heart—of a handsome Ryde driver, Jenna realizes maybe there’s more to life than being the maid-of-honor. Partly Cloudy With a Chance At Love: After a marriage of scandal he would rather forget, Ethan Kincaid the Earl of Densmore is misled into joining a house party by a matchmaking friend; but when a pretentious peacock brings a naively valiant beauty across his path, he must decide whether he wants to continue to guard himself or risk taking another chance at love. Her Sweet Pursuit: Emmy Taylor has one goal—to open a bakery, but when the way-too-good-looking sandwich shop owner swoops in and derails her plans, Emmy is forced to choose between her mother’s legacy a or an unrealized dream that could prove to be much sweeter. A Royal Summer: When Rachel Sumner travels to London to spend the summer with her best friend, she never expects to help hide Prince Nick from the paparazzi, or that a secret romance would bloom over a mutual love of coffee. 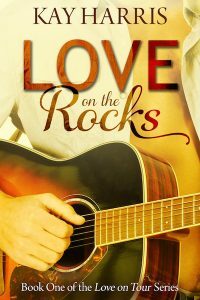 Rachel knows that their romance can only last the summer, but will a weekend in Greece change the prince’s mind? This book is bargain priced from 03/19/2019 until 03/24/2019.